Sweets are a hit in our house as in most peoples I am sure. I am always looking for something new though. I need something new to spice it up a bit in our house. While I love sweets I don’t necessarily want the same thing over and over. I ran across a recipe for 7 layers bars last year and it is the number one requested dessert in our house. My husband says it is the dessert that has him leaving the table dreaming about it. I love it because it is simple and only requires 7 ingredients that can all be done in one pan. No mixing bowls and really no measuring cups in my household either. Although I like mixing up the dessert recipes in our house and trying something new I have made the 7 layer bars enough to be able to “guess” the correct amounts. Ok maybe that makes me sound like I am just that good. I want to think I am just that good but I have to give credit to the recipe. The only ingredients that really need to be fairly exact is the graham cracker crust and butter. If you mess those measurements up you will end up with either a crust that is falling apart (too much butter) or you will end up with a crust to crumbly (not enough butter). As for the rest of the ingredients you can just have at it. Love butterscotch? 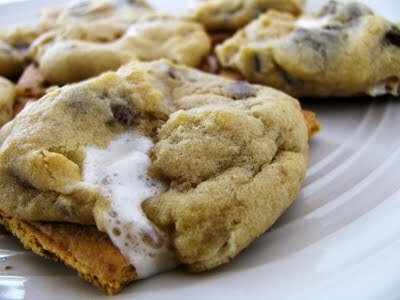 Add more butterscotch chips. Peanut butter chips are pretty good to be added as well. M&M’s give it a little bit of a different feel. 1. Pre-heat oven to 350 degrees and Pam a 9×13 baking sheet. 2. Layer the first six ingredients in the order listed in your prepared 9×13 pan. 3. Drizzle the condensed milk over the top. 4. 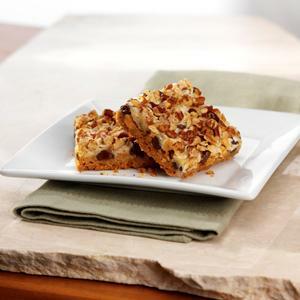 Bake bars for 20-30 minutes. You want the chips to be melted and the condensed milk to start to brown but you don’t want to burn them. 5. Let cool completely and cut into bars. **Check out a clean and easy way to make graham cracker crumbs. ** You can also find more tips and recipes that will help your household run a little smoother.